Datatag ID Limited, a leading provider of equipment security and registration services, has launched a security system for sophisticated and expensive surveying equipment. The launch took place at the Survey Association’s AGM. (Lowry Centre, Manchester, April 2nd). The new systems provide both overt warnings and covert markings, supported by on-line registration. Datatag security systems act as a powerful deterrent against theft and an invaluable aid in recovery. The new system has been approved by The Survey Association (TSA). The Survey Association’s members supply or use very expensive and sophisticated surveying equipment in the construction industry. 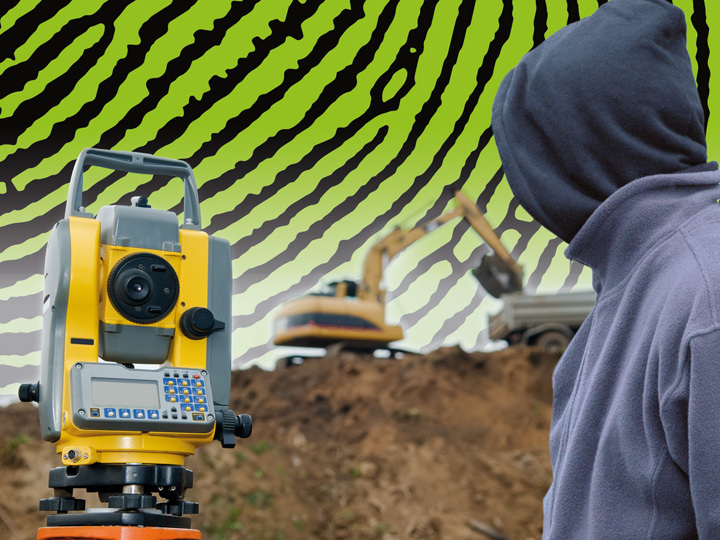 Leading suppliers and members of TSA include Leica Geosystems, TopCon, and Trimble. TSA has taken the step of approving the system, on behalf of its members, as the theft of surveying equipment has increased markedly in recent years. 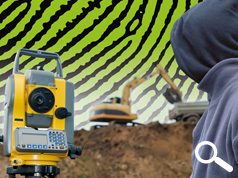 Datatag has wide experience of security and registration schemes as it supplies the technology for, and administers, 3 major ‘industry-wide’ schemes, the CESAR scheme for agricultural and construction equipment that is promoted by the Construction Equipment Association (CEA) and the Agricultural Engineers Association (AEA), The Master Security scheme that protects 90% of new motor bikes, scooters and mopeds supplied in the UK, promoted by the Motorcycle Industry Association (MCI) and the personal watercraft and jet-ski security scheme that is recognised and supported by the British Marine Federation (BMF). CESAR, which now protects over 135,000 pieces of equipment, has had a marked impact on equipment theft having helped reduce total machine thefts by over 45%, increased the rate of recovery of stolen equipment by a factor of 6, and helped reduce insurance premiums on equipment. Datatag’s bespoke kits for TSA are designed to protect surveying equipment and tripods. Both new security systems are available from Datatag (www.datatag.co.uk/survey-equipment.php) and they are priced at a TSA member rate of £49.99 (ex-VAT) for the full system and £19.99 (ex-VAT) for the tripod kit when purchased with a full security system. Non-TSA Members can access the full system at a price of £64.99 (ex VAT), plus £19.99 for the tripod warning.